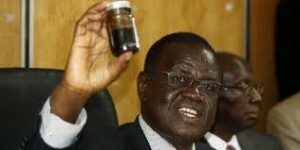 The Curse of black gold, is Kenya ready for the Oil windfall? Less than a year ago, the Ministry of Energy and the UK Oil exploratory company -Tullow Oil through a hurriedly convened press conference announced that Kenya had struck oil deposits in the semi arid county of Turkana, about 500 miles North West of Nairobi. Kenyans are perhaps the most optimistic people in Africa. In 2002 the internationally respected Time magazine rated Kenyans as the most optimistic people in the world; there are high expectations especially among the natives of Turkana County and many Nairobi based rent seekers on the future prospects of the oil resource. With many households and business enterprises facing high energy costs, the fallacy doing rounds is that Oil prices will drop by more than 50% of the current pump prices. The World Bank and the World Economic Forum ranks Kenya poorly on the easy of doing business index and Global Competitive Index respective. Kenya is among countries with high energy costs, making locally produced products highly uncompetitive. The discovery of Oil is never without disappointment, some countries that have discovered huge oil deposits have registered dismal economic records far worse than countries with little or no benefit of such important natural resources. For the case of Kenya, the discovery comes at an opportune time; several months ago the Kenya shilling lost great deal of value against the dollar, a situation that saw many manufacturers and importers adjust prices of their products upwards and some even denominated them in dollar value and inflation hit the all time high of 20%. Kenya is a net importer, with Oil exports, the countryâ€™s trade balance is likely to change for better, a boom in exports will lead to a strong currency (the Kenyan shilling) that will most likely hurt other sectors; the non oil export and import competing sectors. The â€œDutch Diseaseâ€ scenario is a term that was coined by economists to describe the inability of the Netherlands to fully benefit from its natural gas finds (in the North Sea) in 1959. The concept explains in basic terms that increased revenues from export of natural resources will lead to a strengthened local currency, making the country exports expensive at the global market (uncompetitive) among other effects, effectively killing the local manufacturing sector. The Dutch disease scenario if it will manifest for the Kenya case, then it will lead to a fragile and declined development of other industries resulting to a loss of competitiveness to other industries elsewhere if not checked with supporting policies. The risk of Dutch disease will solely depend on the scale of the oil find, the scale will determine the level of foreign currency inflow, a large inflow will not only have import export implications but will also cause a movement of labor from the lagging sector. To avoid such a scenario the government will have to set in motion deliberate policies that will enhance competitiveness of the likely lagging sectors, such policies can be in the form of subsidies and tax waivers. Being a developing country, pressure will be pilled on the government by politicians (and the public) to use the Oil windfall to alleviate poverty at the expense of broader macro economic implications. A structured scaling up of delivery of public service and improvement in overall infrastructure are best areas to invest. Since massive infrastructure takes time to complete, it is advisable that technocrats should already start thinking to draft recommendations on possible ways oil revenues can be saved abroad for future generations. Setting up of a sovereign wealth fund; a case of Norway, Kuwait, Alberta- Canada and Azerbaijan could be a sustainable way to control the effects of the Dutch disease scenario. The experience with our political class and the bureaucracy creates a scenario where we are likely to see a ballooning public expenditure, rapid rollout of white elephant projects in the absence of strong institutions that can insist, oversee and supervise proper due diligence on the viability of such projects. The next government that is expected to be reform geared will have to match increased public spending with improvements in rigor and transparency with which public investment programs and projects are to conceived and approved. A lot has been said of the super Thika highway as compared to the congested Mombasa road and even the inefficient Port of Mombasa. Priority of projects based on the greater impact of multiplier effect in the economy should be emphasized. If the reform momentum gained from the enactment of the new constitution will be slowed then we should hold our expectation to a lower level, the projects to be commenced are likely to benefit a few well connected cowboy contractors, leading to little and less meaningful gain from Oil. If we are to succeed the government may wish to emulate Norway, USAâ€™s State of Alaska and Canadaâ€™s Alberta on the best practice in the management of such a natural resource in line with the fiscal management of the country. The long term horizon should guide management of Oil revenues, the fact that Oil is a long term resource calls for long term investments, and since it is an exhaustible with volatility in prices, government should be compelled to adopt a sustainable fiscal policy that will allow diversification in the economy into other sectors both complimenting and non complimenting, like Banking and Finance, Telecommunication, Education, Health, Infrastructure, Pensions/Social Security, sports among others, all for the benefit of future generations. The best possible revenue sharing formula with the locals of Turkana County and the entire Northern Kenya circuit should be crucial, the region has been neglected for long and the locals will be up in arms to gain maximum from the resource at their door step. Transparency in how much is generated will help manage expectation of the citizens and avoid unnecessary tension like the one witnessed at the coastal region under the clarion call â€œPwani sioâ€ Kenya by the secessionist group MRC. The best case study for oil revenue sharing for the government to emulate is Indonesia â€“which has successfully managed to share its natural resources with the locals. The risk of a rapid growth in public sectors should be checked; often with Oil windfall there is a tendency of expanding the public sector especially in a country like Kenya where unemployment levels are high. Politicians promise jobs in return for votes every election cycle. A growth in the public sector is likely to undermine private enterprise, introduce distorted work incentives. Using the public sector as a platform for job creation is not sustainable especially for a country like Kenya with a higher population growth rate and high labor force. The government will have to be cautious in the management of Oil windfall, from experience our political leaders work best under pressure, a strong civil society, free media/press and strong professional associations powered by high ethical principles will help keep the government on check. Parliament will play a key role especially in fostering a transparent budgetary process especially in sorting the sectors that will not be depending oil for example Agriculture,Â Education and Health. Dissemination of information and relevant training will be critical. Exciting times indeed are in the future, reforms in all sectors will be critical in setting a strong base for the efficient and sustainable management of the Oil windfall.